A deliciously fudgy brownie topped with a moist pumpkin cheesecake layer. 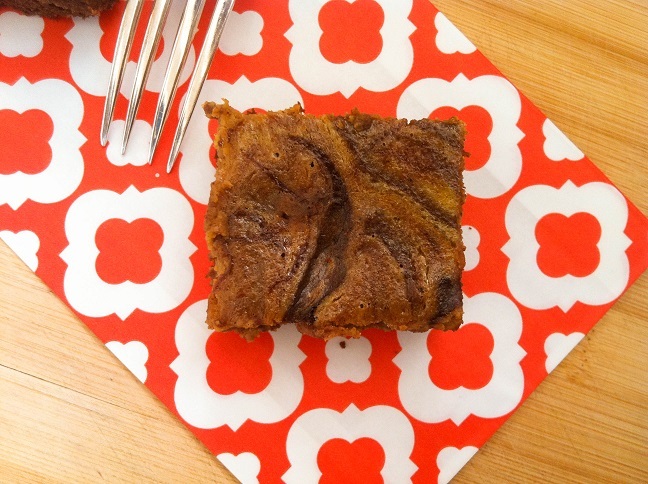 These pumpkin cheesecake swirled brownies are perfect for the fall holiday. Is there anything better than cheesecake and brownies? Together?! I love cheesecake. It’s one of my favorite desserts. There’s just something about that creamy soft texture that I can’t resist. And I love chocolate. And when I say love, I mean I can’t live without it kind of love. I even have an emergency stash of it just in case I run out. But cheesecake and chocolate together? Soo drool worthy. So of course, that means I have to share it with you, right? And just in time for Thanksgiving too! I haven’t quite decided what will be on the Thanksgiving dinner menu this year. I’m so behind. But I’m considering these pumpkin cheesecake swirled brownise as dessert. Rich moist pumpkin-y cheesecake with a fudgy chocolaty brownie. What’s not to love? 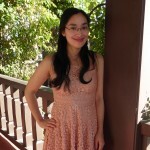 For this recipe, please head over to Ask Anna. 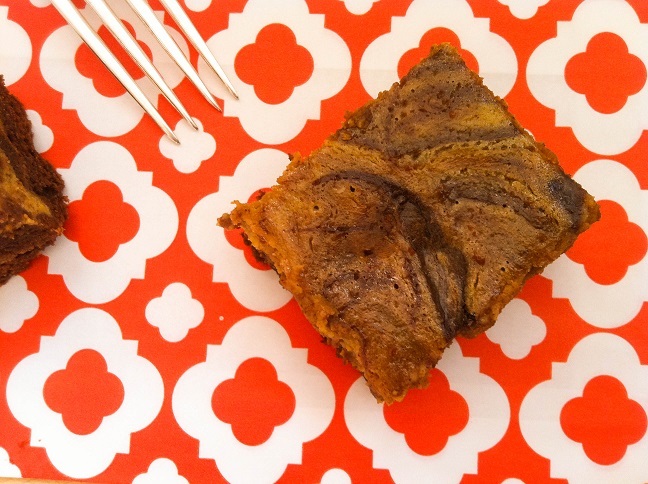 These pumpkin cheesecake swirled brownies are featured on her blog today! What will you be making for Thanksgiving this year? This entry was posted in Desserts, Fall Cravings, Holidays, Quick and Easy and tagged brownies, cheesecake, chocolate, fall desserts, quick and easy. We tried these over Thanksgiving, and they were delicious. 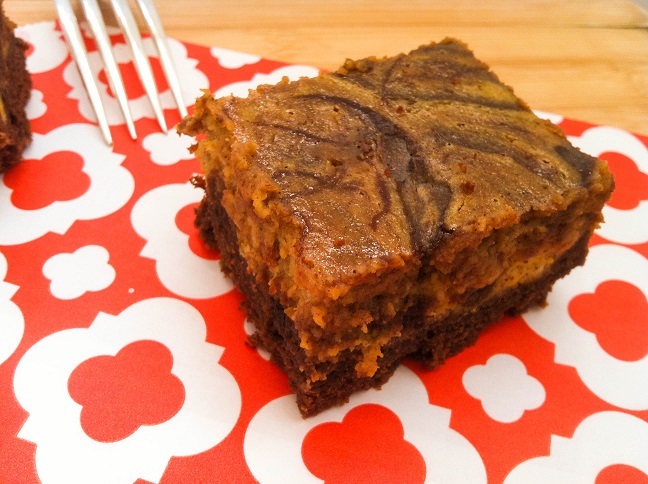 How had I not had pumpkin cheesecake brownies before? Perhaps no one had perfected the recipe before. Thanks for sharing this; we may not be able to wait until Christmas before we make them again….